The Moon is in Gemini all day. The Moon is waxing and in its First Quarter phase until 5:52 AM / the Moon is waxing and in its Waxing Gibbous phase from 5:52 AM forward. 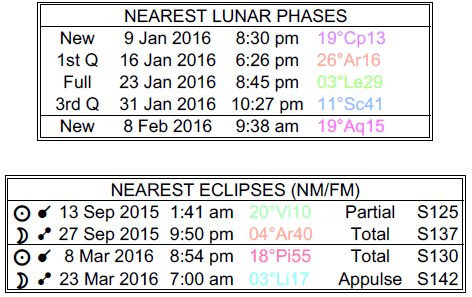 A First Quarter Moon occurred on the 16th, and a Full Moon will occur on the 23rd. The Sun enters Aquarius today (the Sun transits Aquarius from January 20-February 19). The Sun enters your solar eleventh house today, dear Aries, where it will transit until February 19th. This is a period for prioritizing the connections in your life. You have stronger influence on friends and groups during this period, and this by extension boosts your own self-esteem. Being a team player will bring the best rewards now. More emphasis on socializing and formulating personal goals is in order now for you. Others might be vying for your attention, and you can be especially busy socially. This is also a time for trying on new styles and ideas. 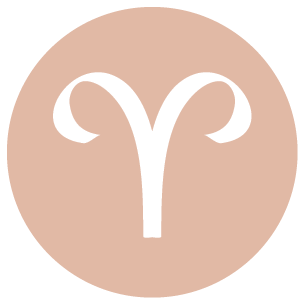 There can be surprises and possibly upsets or abrupt elements to the day with Mercury in hard aspect to Uranus today, and a project that you may have thought was complete could require further attention. For some, schedules can be broken. It can be especially difficult getting your message across clearly right now, so be especially mindful of what you’re saying, particularly on public and professional levels. The Sun moves into the sector of your chart that rules professional matters, responsibilities, and reputation. This is a time for mentally preparing for new beginnings in these areas. It’s a time for taking charge and shaping matters in the ways you want them to take form. The Sun will be here until February 19th, and in the coming weeks, your ego and identity are tied to your professional or social standing, what others think of you, and your ability to meet your responsibilities. Letting these things slide will make you fret. Tend to your needs for approval – they’re real and not a sign of weakness as long as they’re balanced and moderate. You also stand out more than usual – others notice what you have or haven’t done, when at other times these things may not be as strongly recognized. Today, changes of schedules or differences in opinions can lead to new activities and perspectives, making it worth the bumpy ride! 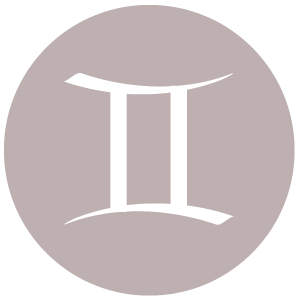 This can be a time when you’re itching to do or learn something new, dear Gemini, with the Sun moving into your solar ninth house today, where it will stay until February 19th. While this may be a period when you feel dissatisfied with the daily routine, you’ll find it far more tolerable if you add more spice to the spare hours of the days. Nurture your mind, body, and spirit with different activities, books, courses, cultural activities, and connections with people who have different ideas and perspectives. This can be a time for striving more passionately towards your ideals and beliefs, or for considering new ideas. Today, your own ruler, Mercury, in difficult aspect with Uranus can point to some difficulty following directions and moving from one step to the next. The inclination is to jump ahead. Avoid communicating and forming solid conclusions too quickly now. 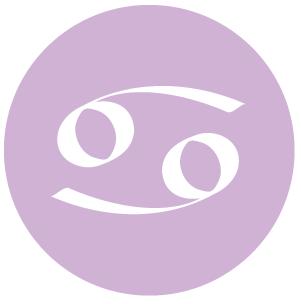 With the Moon in your release sector today, dear Cancer, and the Sun beginning a new cycle, you can feel good about letting something go and moving forward. The Sun enters your solar eighth house today, where it will continue to transit until February 19th. During this cycle, you have a stronger drive to understand the meaning of your relationships and to get to the bottom of complex matters. It’s a good period for learning about your own motivations and for working on making important changes. Develop self-mastery skills now. Some form of self-transformation is likely at this time of year. Don’t be afraid of exploring your “dark” side with the goal of self-honesty. Today’s energies are a little erratic, particularly having to do with communications and schedules. There can be moodiness with a partner now. Avoid quick reactions. 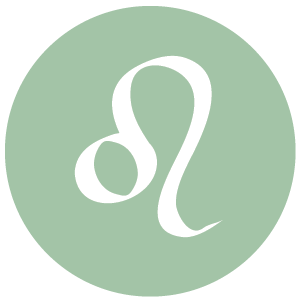 The Sun enters your partnership sector today, dear Leo, where it will transit until February 19th. This cycle brings your need for others to the fore, and particularly a partner in some shape or form. Relationships with others provide a mirror for your relationship with yourself. You’re more willing than usual to adjust and adapt to the needs of others, and your listening skills are in good form. Personal goals and agendas may need to be put aside temporarily as you allow others to take the spotlight. You are challenged to find a balance between independence and accommodation, and this will be especially pronounced around the time of the Full Moon on the 23rd. Today, ideas can come in flashes, and they’re likely to be quite inspired, but not yet mature. There can be a lot of “noise” at the moment. Take note of them rather than jumping to conclusions. 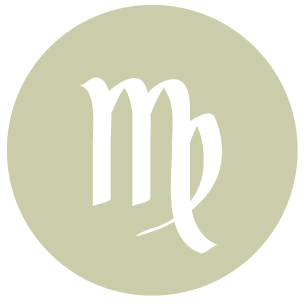 You are transitioning from a creative focus to a more work-centered period, dear Virgo, when routines and practical matters receive more attention with the Sun entering your work and health sector today where it will transit until February 19th. During this period, your ego and identity are wrapped up in the work or services you provide, as well as the success of any self-care programs. It’s a good time for working on new health and fitness regimes, for tending to important daily details and tasks, and for organizing your life in small but important ways. While you’ll be improving your daily routines during this period, today’s energies require some flexibility, as it may not be easy to work through tasks step by step. Even so, detours from the norm can open your eyes to something very important today, particularly about a love relationship. Alternatively, you can find creative inspiration. 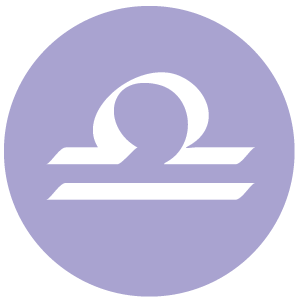 Aim to go forward with as little emotional baggage as possible now, dear Libra, as you begin a new cycle in which you are inclined to celebrate and share your feelings, creative works, and affections. The Sun enters your creativity and romance sector today, where it will transit until February 19th. During this self-expressive period, you thrive on others’ feedback and good vibes, and you are more openly affectionate and playful. The need to express yourself creatively and uniquely is primary. You might pay more attention to personal hobbies or recreation and entertainment. Today, it can be a little difficult to unwind with Mercury and Uranus in conflict. Consider ways of updating traditions rather than trying to cling to old ones if they’re causing problems. 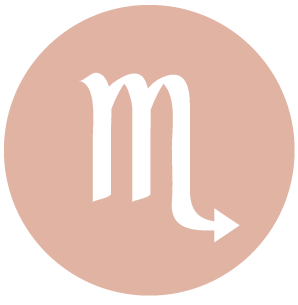 Life has been busier than usual lately, dear Scorpio, but now you are transitioning into a more comfortable phase when familiarity tends to win over variety as the Sun moves into your solar sector of home and family. The Sun will transit this area of your chart until February 19th. During this cycle, your identity and ego are more heavily invested in your home life and family relations. Worldly ambitions tend to take a backseat now. You are tending to the hearth and deriving security from the familiar. Your focus now should be on making yourself feel secure and content. While it’s a cycle for putting a little more faith in traditions, today’s energies challenge tradition and order. 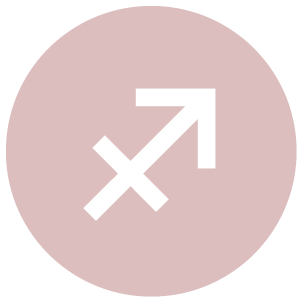 A Mercury-Uranus square can excite the mind and the senses, and you’re likely to find it difficult concentrating on any one system or project. This is not a day for following through with well-constructed plans – they’re likely to be interrupted. 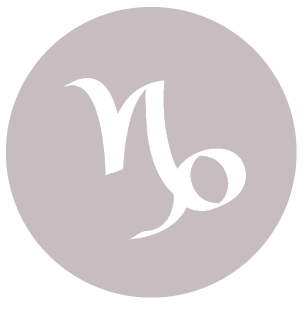 You’re transitioning into a busier, more engaging period, dear Sagittarius, as the Sun moves into your communications sector where it will stay for about a month, until February 19th. Reaching out, learning, and connecting become priorities. Your daily life tends to pick up pace, partly due to a search for more mental stimulation in your life. It’s not the best of cycles for concentration and focus, but it’s strong for making connections and keeping or catching up with others. You’ll be running more errands than usual, and decisions tend to need to be quicker than usual, as changes in scenery are frequent. Today can be a little scattered and unpredictable in energy, particularly on a mental level. Communications may be abrupt, and so can changes to schedules or other detours. Watch for impulsive or poorly considered purchases, but pay attention to new ideas regarding business and money matters. The Sun leaves your sign and enters your solar second house today, dear Capricorn. This transit that lasts until April 19th stimulates a focus on your resources. During this cycle, your self-worth is more heavily invested in practical matters, stability, and money-making capacity. Your ability to provide for yourself is highlighted now, and you can be more motivated to build your resources and develop your natural talents. Security is a driving force for you right now, and you might find that you are especially interested in accumulating possessions. What you have and what you don’t have come into focus – what makes you feel comfortable, your sense of security, and what you value. This is a good time to take charge and give form to some of your recent ideas. While this is a generally stable and patient cycle, today’s energies can be a little abrupt. Changes of mind can be quick. Resolving to stay flexible helps you to see opportunities that emerge from interruptions in your plans or in your schedule. The Sun enters your sign today, dear Aquarius, and this begins a month-long cycle that puts you, your goals, and your needs up front and center. Generally speaking, it’s a time for seizing the day, for shaping your life as you’d like it to be, as well as for being heard, noticed, and counted. You may feel as if you are coming out of the shadows in some ways now. Today, there can be difficulties with continuity of thought and it may be a real challenge staying organized. Watch for speaking too soon about a matter or even about a spontaneous observation, just for now. Make plans for a busy few weeks ahead, and mentally prepare for the New Moon in your sign, which will occur on February 8th. This is about making personal changes that start you on a fresh, new, and empowered path. 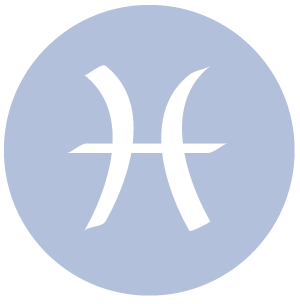 The Sun enters your privacy sector today, dear Pisces, where it shines a light on the past, the hidden elements of your life, and mental health matters. This begins a month-long cycle in which you are likely to tie up loose ends, put an end to projects and attitudes that no longer serve your purpose, and get into better touch with your inner world. You are more aware of the psychic undercurrents around you. It’s a good time for forgiving others and for letting go of those things you no longer need, if necessary. You may have a difficult time seeing yourself as others see you, and decisions may require more time than usual. More than likely, they can wait. You quite naturally withdraw a little from more worldly endeavors, and you require more time for introspection, rest, and perhaps meditation. Today, there can be some abrupt elements to our communications, thoughts, discoveries, and schedules, and in your case, particularly with friends and networks. 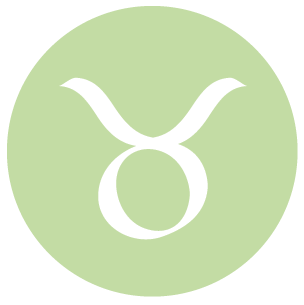 If Your Birthday is January 20th, If Today is Your Birthday full horoscope here. Time to be innovative. Shine in social groups. Gregarious pursuits rather than introspective. Be spontaneous. This may be a self-centered, self-indulgent time. We might also resort to trickery or manipulation to get what we want, when a more direct route would be more appropriate. Power games can interfere with healthy relations. Inspiration might be found now, and our intuition is strong. There can be letting go of anger, or a softening of the disposition. Creative arts, particularly physical ones, are favored. We have new tools at our disposal for dealing with past problems or complications. Personal growth and fulfillment may require ridding ourselves of attitudes that are no longer working for us. This is a time for gaining a sense of mission, empowerment, or self-control through new or novel ways of approaching complicated emotional matter, or for resolving and letting go of those things that have kept us from moving forward. We are more courageous about facing our fears and wounds, which brings us a step closer to healing. Sabian Symbol: A drowning man rescued. Sun 00° Taurus 03' 11"
Moon 12° Scorpio 48' 26"
Mercury 04° Aries 02' 45"
Venus 29° Pisces 42' 00"
Mars 13° Gemini 16' 51"